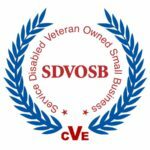 The Department of Veteran Affairs has verified Patricio Systems LLC as a Service-Disabled Veteran-Owned Small Business (SDBOSB) and added to the Vendor Information Pages at http://www.vip.vetbiz.gov. Patricio Systems LLC will be eligible to participate in Veterans First Contracting opportunities with the Veterans Administration (VA). This verification is valid for three (3) years from the date of this notice. The Small Business Administration has issued an interim final rule, establishing a Service-Disabled Veteran-Owned Small Business Concern Program. 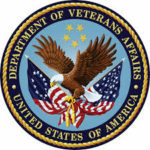 This program establishes the criteria to be used in federal contracting to determine service-disabled veteran status; business ownership and control requirements; guidelines for establishing sole source and set-aside procurement opportunities; and protest and appeal procedures for SDVOSBC procurements. The purpose of the Service-Disabled Veteran-Owned Small Business Concern Procurement Program is to provide procuring agencies with the authority to set acquisitions aside for exclusive competition among service-disabled veteran-owned small business concerns, as well as the authority to make sole source awards to service-disabled veteran-owned small business concerns if certain conditions are met. (See Code of Federal Regulations (CFR) 13 C.F.R. § 125.8-125.10). Patricio Systems LLC is a veteran owned business providing solutions to your Project Management and Information Technology needs.